They also have a 6-Pack Deal. can they just run smart tiles and stay lit the whole time? Probably. There’s also some talk on the Amazon Developer pages about the new Fire OS being more compatible with existing Android apps. Hopefully that means our app can be supported as well! I’ve thought a lot about that, and I’m thinking it’s a bad idea. The screen is the thing that takes the most energy on all of these devices, and it would just be insane to go around replacing all of the light bulbs in our houses with LEDs and then have one of these things sitting there with its screen on all day every day. I couldn’t come up with specific hardware options out there yet, but it seems it needs to be somehow tied into micro-location and micro-presence sensors or something like that. I suppose it could be done with what we have now if done right, but it seems complicated…like, one motion sensor to watch for motion, generally, in the room, and then one or more motion sensors installed in such a way to have their vision partially blocked by blinders of some sort so that they are only actually paying attention to a very small area very near the device on the wall. That way, it could trigger the screen on the device to wake up when you walk over to/near it. I’m not exactly sure of the mechanism needed to get the device’s screen to wake up on external command, but I know it must be possible somehow (perhaps root-only? but most of us would likely be rooting whatever device we use for this). My interest in that announcement was that they integrated Amazon TV with Echo. Echo can’t control TV, it looks to be more like they added an Alexa app to their TV box, so you can use voice remote to " ask your TV" for news updates, sports scores etc. I have ST app sideloaded from 1mobile on my kindles and on firephones. It works fine . You just need to get it into Amazon appstore.
. I’m not exactly sure of the mechanism needed to get the device’s screen to wake up on external command, but I know it must be possible somehow (perhaps root-only? but most of us would likely be rooting whatever device we use for this). I didn’t think or at least I don’t know of any Android device that wakes up by tapping on the screen. There are apps which are discussed in the SmartTiles thread that can wake up the screen based on motion detected by the camera but as I understand it they require root. Most Android devices can be set to stay on at all times through Developer Options. Yep but they were talking about having the screen switch off to conserve energy, especially if you have multiples around the house or in the bedroom. It’s been a while since I had a " real Android tablet" , but yes Kindles wake by tapping on the screen. Or at least my 2013HDX does. Kindle has no buttons other than the volume and main power on the back. So there is no " home" button on the front like a Galaxy Tab. Good to know, thank you! Maybe it’s possible with these then? If I’m honest I’ve never seen one, just assumed they would be mostly like Android tablets. 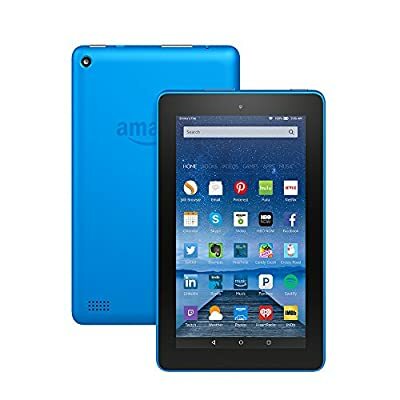 Issue I have is no wireless ( Qi) charging on any Amazon tablets. So that makes wall mounting more difficult . Mounting a Qi pad behind the wall with a metal plate and gluing a few magnets to the back of your old phone or tablet makes for a much “neater” install. You can buy Galaxy tab4 or Asus Nexus on fleabay for <$100 almost any day. IMHO they would make a much better HA terminal to stick to the wall. Do you have to do anything in setting to get this tap on option? I have a fire hd and it doesn’t work like your HDX. Most likely this cheap $49 table will be like my fire HD. Not really sure but you need proximity sensor for tap on which I don’t have? Not on the HDX, it has just always been this way. double tap the screen ,then enter the unlock pin. The only time I have to press the button on the back is if it actually powered off and isn’t just asleep. I bought the grandkids all kindles for Christmas last year and now that you make me think. I remember not being able to figure out how to turn the granddaughter’s Kindle Kid edition on when she was here over the summer. I thought it was just because it the kids version ,but maybe they are all like that. I wish they had had that 6 pack deal last year. All this talk just "forced " me to buy a Galaxy Tab 4 8 . So we’ll see how well ST works in Lollipop next week. Of course while I was on Fleabay I had to grab a couple more of the GE outdoor modules ( $22.49ea ) . Holiday decorations are coming quick. Thats a good deal on the GE outdoor modules. I have been eyeing them up at Lowes but $40 is just too much for me right now.